Tarps Plus Blog: RV Covers on sale! If you are looking for an RV cover at a low price Tarps Plus has got it, saving you money while giving you a quality product is what Tarps Plus does best. These RV covers are backed up by a manufacturer 3 year warranty unlike most with only a 1 year warranty. These covers are UV treated on top of other great qualities that help this cover be a quality tarp. One great feature in this cover is that the cover still "breathes" meaning it vents which helps it from mildew attack while still being water resistant. 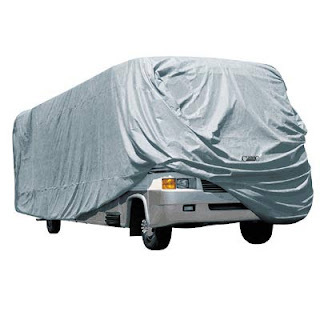 For your RV choose this RV cover it will be money well spent and surely not regretted. Take advantage of the sales and purchase yours today! I Received my RV COVER Friday and it was just what I was hoping for! Great Products. Amazing covers! very good quality.